NEW YORK — It's that time of year again. Not the holidays, but strep throat season. It's a common and painful infection for young kids that's usually cured by antibiotics. But for a few children, strep can trigger bizarre behavioral disorders such as severe tantrums, obsessive-compulsive disorder (OCD), and even tics. It's a rare complication caused by an immune system that attacks the strep bacteria and the child's brain. 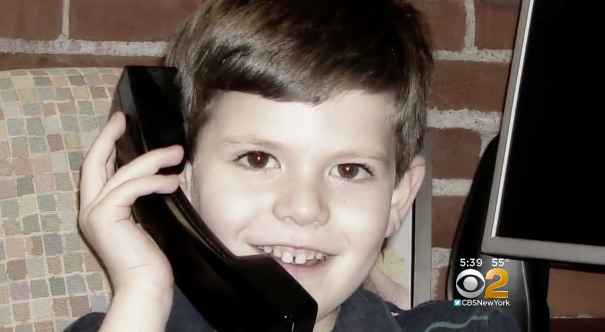 Saul and Bonnie Markowitz told CBS New York that their world changed forever in February 2007 when their son went from being happy-go-lucky to a totally different kid seemingly overnight. Their son Brandon was 5 and a half when he suddenly changed, showing tantrums that couldn't be controlled and debilitating OCD. Doctors say it's because of a strep infection Brandon had that developed into a complication called PANDAS, which stands for Pediatric Autoimmune Neuropsychiatric Disorders Associated with Streptococcal infections. "What that basically means is a child gets an infection and the antibodies to that infection end up attacking the brain instead of the germs," PANDAS expert Dr. Elizabeth Spaar told the station. A new documentary called "My Kid is Not Crazy" tells the stories of several families whose children suffered violent outbursts, tics, and tantrums from PANDAS. "For the kids where it isn't caught early and misdiagnosed, there can be lifelong effects from it, unfortunately," Spaar said. While many children have tantrums, OCD, and tics, what's distinctive about PANDAS is the sudden and dramatic onset of the symptoms in a closely-related time frame to a strep infection. "Patients with PANDAS have a very sudden onset or worsening of their symptoms, followed by a slow, gradual improvement. If they get another strep infection, their symptoms suddenly worsen again," according to the National Institute of Mental Health. While most children get better with antibiotics, symptoms can take weeks to go away and many kids experience relapses.